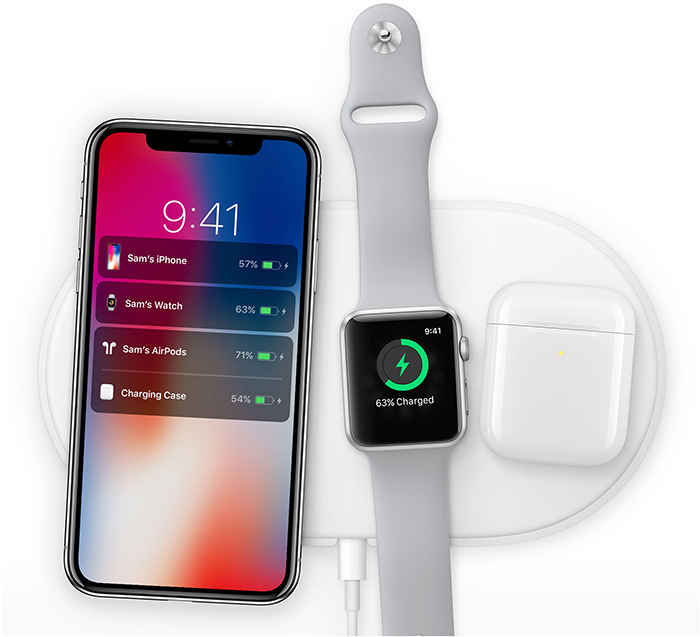 Apple previewed its multi-device AirPower charging mat at its iPhone X event last September, and confirmed that it will be released at some point in 2018, but it has yet to reveal how much it will cost. According to Chinese website Chongdiantou (via LoveiOS), however, so-called "industry insiders" speculate that the AirPower will be priced around 1,000 Chinese yuan, which is roughly $145 based on the current exchange rate. Rounding, this suggests the AirPower could cost around $149 in the United States. Chongdiantou is the same source that recently leaked photos of what is claimed to be an engineering prototype of Apple's faster 18-watt USB-C power adapter for 2018 iPhones, but overall, the publication lacks an established track record, so this information should be viewed with some skepticism. According to the oft-reliable Mark Gurman, Apple aims to release the AirPower by the end of September, so there's a good chance its pricing and availability will be confirmed at Apple's usual September event, alongside a trio of new iPhones, Apple Watch Series 4 models, new AirPods with "Hey Siri" support, and more. $149 would be pricy for a wireless charging mat, but the AirPower can inductively charge multiple Apple devices at the same time, including the iPhone 8, iPhone 8 Plus, iPhone X, and Apple Watch Series 3 models. It will also work with AirPods when placed in an optional wireless charging case, likely available next month. Chongdiantou also recently claimed that all three iPhones expected to be released in 2018 will feature wireless charging, including an all-new 6.1-inch iPhone, making them all compatible with AirPower. AirPower's ability to charge multiple devices is achieved with a propriety technology developed by Apple. Apple said it will work to have its technology become part of the universal Qi standard supported by many devices, so there's a good chance we'll see true multi-device mats from other companies eventually. Of note, the AirPower has yet to be authorized by the FCC, a requirement for sale in the United States, according to Apple's website.